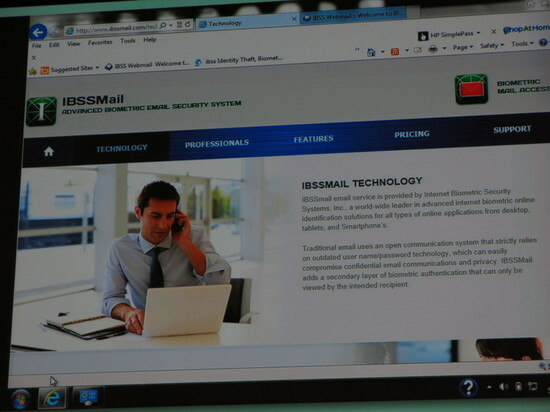 Internet Biometric Security Systems (IBSS) is offering a 30-day free trial of its biometric email communication technology, IBSSMail. The service manages both legal and biometric identification of all email account holders, and uses multifactor authentication to ensure that only the intended recipient can read the email as well as any attachments. To take advantage of the free trial, use the promo code: dlm085@ibssmail.com. IBSSMail prevents unauthorized access to, and forwarding of, confidential and proprietary e-mail. The service’s multifactor authentication includes human-voice identity, facial recognition, real-time legal identification of all account holders, and other technologies. Email accounts can be set up and secured within minutes, and the service is easy to use. IBSSMail is also offering a feature specifically geared toward the financial services companies: biometric, point-to-point encryption with a click of a button, without any additional setup required. The company announced that IBSSMail will soon feature new solutions for e-mail printing, conferencing, and multimedia communication, as well. Also in the “coming soon” category is IBSSMail’s patent-pending, real-time online biometric document-signature solution for loan applications, tax returns and other financial services documents. “Our biometric document-signature solution will include content document risk assessment for veracity, resulting in a reduction of human resource costs, and fraud deterrence,” Ackerman said. 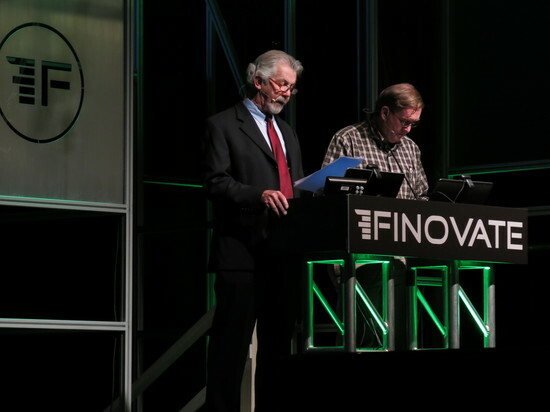 Founded in May 2005 and headquartered in San Diego, California, Internet Biometric Security Systems demoed Genesis Enterprise Edition, its biometric identification management system, at FinovateSpring 2013 in San Francisco. Next to the stage is Internet Biometric Security Systems. 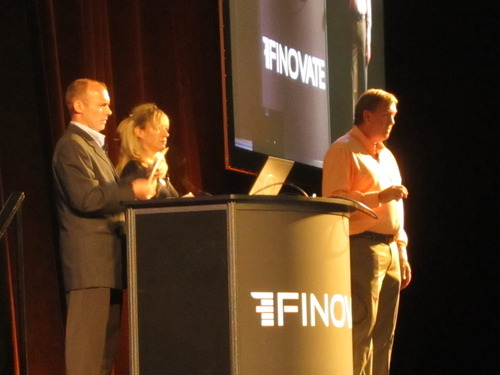 The company is presenting its Genesis Enterprise Edition, which provides four-factor authentication in real-time. 4. Coupled with RealTime event session biometric monitoring of each online financial transaction equipped with a biometric authenticated timeline audit log record. “IBSS is launching its Genesis Enterprise Edition, representing an advanced, affordable, real-time human identification technology for online financial service transactions. Factor 1: Real- time legal identification of end-user personal information. 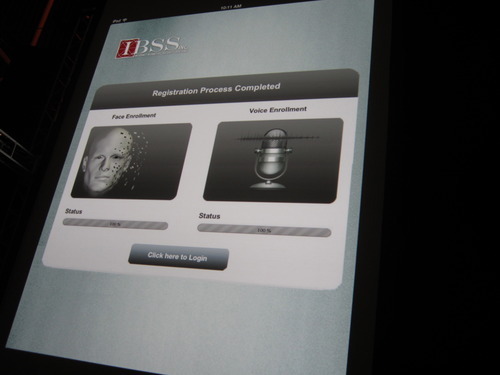 Factor 2: Coupled real-time biometric facial authentication. Factor 3: Coupled real-time speaker authentication. Factor 4: Coupled real-time session biometric monitoring of each online financial transaction event, supported with a scalable biometrically authenticated timeline audit log record.